It seems that all the late storm regarding false content id claims and the wrath of some big and small youtubers that helped make the hashtag #wtfu become a trend on YouTube has finally paid off!!!! 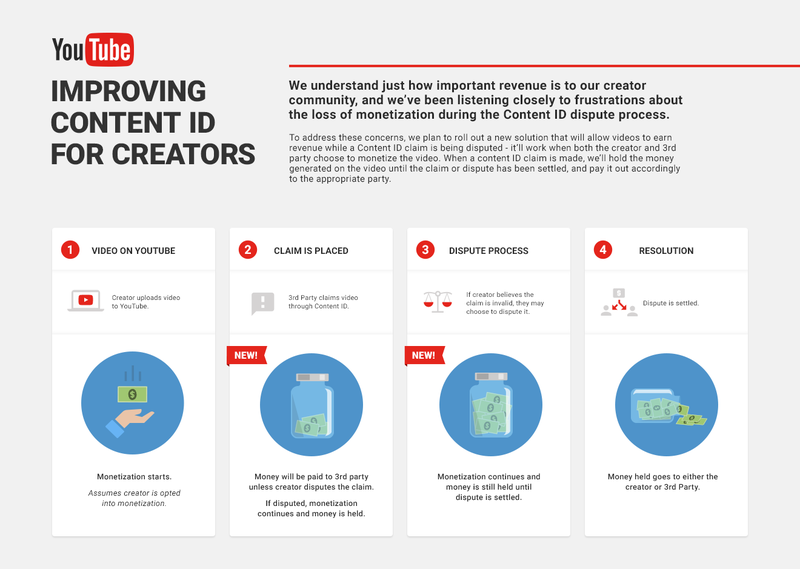 YouTube has announced on the 28th of April that will implement a new content id system for creators which will be rolled out in the next months. Currently all videos that are claimed and disputed won’t make any money for anyone and this is very frustrating for the creators that have suffered a false claim on their video, This usually happens when the video is very recent and when it is more likely to be viewed. This means the creator will lose the best time to make money from the video. What Youtube is going to do now is something that we, at wukh network, and many other youtubers have been saying all along. Youtube will continue to monetise the claimed videos and put the money aside until the dispute is resolved. So the winner party won’t lose any revenue. This is great news for youtubers that are getting their videos falsely claimed. Youtube is also tackling the content id abusers by revoking their privilege to claim videos. I am personally happy to see that youtube has been listening to the concerns raised lately and that they are actually doing something to improve the system. Off course this is only one step towards what it should be done and time will tell if this actually effective or not. Off course youtube still has to improve several other aspects including the penalisation system. But that my friends, is for some other day. Check the official announcement here.